The tests were done by the Cycle World, which is a USA based magazine that also tested the original Royal Enfield 750cc back in the ’70s. The KTM Duke 390 and the both Royal Enfields are tested by the Cycle World. On paper, both motorcycles make 47 HP but some of that power is always lost in transmission from crankcase to the rear wheel. By keeping this in mind, let's begin. First, let’s talk about the Royal Enfield GT 650. 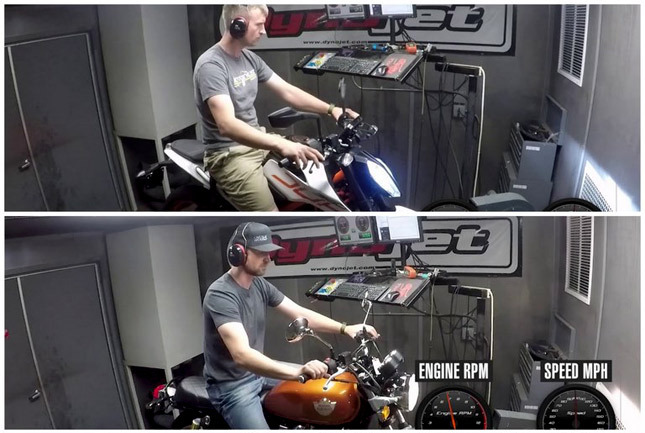 The final result of the Dyno tests indicates that the bike makes around 44.36 HP at 6840 RPM. The weight of the GT 650 is around 200 Kg, so judging by this fact, the result is justified. 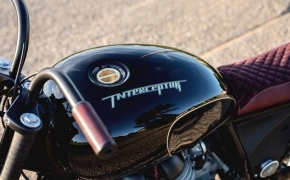 The Interceptor 650 is heavier than the continental GT 650, and it shows in the final result as well. The horsepower loss is significant in this 650cc model. The final rear wheel power of Interceptor 650 is 42.55 HP. 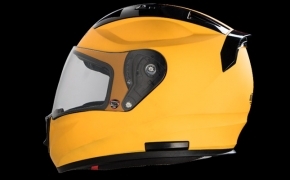 The Duke 390, on paper, makes around 42.90 HP and weighs around 163 kg wet. The bike also uses high-quality performance parts including an aluminum swingarm, a lightweight trellis frame and WP suspension. All of them have a massive impact on the final power delivery. The Dyno test of the Duke 390 confirms the final rear wheel horsepower as 41.21 HP at 8640 RPM, which is pretty amazing. 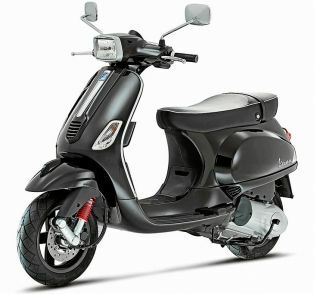 The brilliantly engineered Duke 390 loses only about 1 HP in transferring the power to the rear wheel. 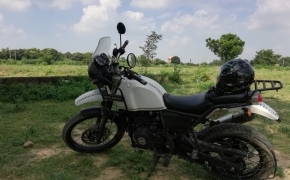 However, The huge difference between the claimed HP of Royal Enfield bikes and the actual HP means that there is a lot of room for improvement. The custom bike builders will definitely be able to play around with different weight reduction mods on the bike, thus making it faster. Both bikes are pretty neck to neck in this case and it’d be exciting to see a drag race between the two and find out the actual result. 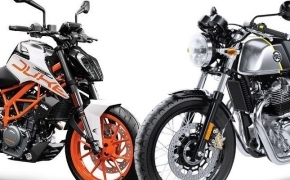 Should You Prefer Buying Ktm Duke 390 Over Royal Enfield Continental GT 650? Since the day it was launched, the Ktm Duke 390 has remained the most bang for buck motorcycle in India. 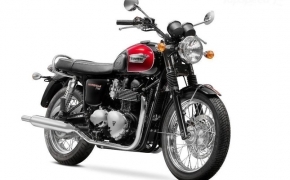 It was the king until the launch of Royal Enfield Continental GT 650, which seemingly replaced the Duke from its throne. The GT 650 is more powerful on the paper, with a 650cc oil cooled parallel twin engine which produces 47 HP and 52 Nm of torque. As a result, people are convinced that the Duke 390 is no longer a performance option when it comes to buying a performance bike in Rs. 2 to Rs. 3 lakh price range. 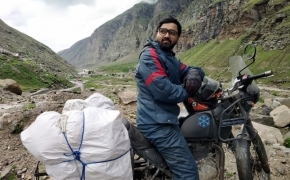 Let us discuss Pros and Cons of buying a KTM Duke 390 over Royal Enfield Continental GT 650. I was chatting with one of my friends earlier, about the plans for his future bike. He told me that, Benelli 600i seems like a good option, for his touring and amateur racing. Without wasting a single second, I said “Why not one of the 650 twins”, and no, I wasn’t and still am not promoting any Royal Enfield products. 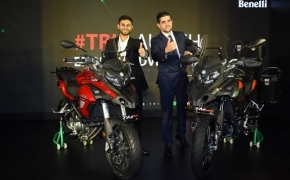 My reaction was the outcropping of the “Not yet confirmed fact” that the new twin cylinder motorcycles will be priced under Rs 3 lakh. Royal Enfield Continental GT achieved a top speed of 241 km/h, so what? People are freaking out over the Royal Enfield’s record at the Bonneville dry salts. 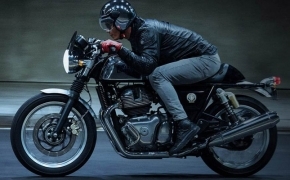 The company set a top speed of 240 km/h with their Continental GT 650. It’s a good speed but I am here to tell you that why it isn’t all that impressive. Was the limited Edition Royal Enfield Pegasus special? is a question which can be asked throughout the ages. According to the Disney, Pegasus was a flying horse for the Hercules but according to the Greek mythology, it belonged to Bellerophon, which was another Greek Hero. In modern times, we have quite a similar situation. 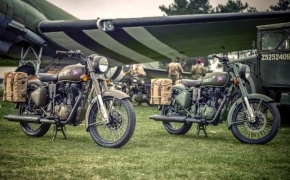 According to the Royal Enfield, the Pegasus is a limited edition classic series motorcycle which is dedicated to the World War- II (WW2) veterans. 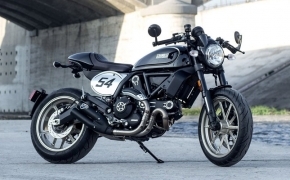 After the Ducati Scrambler, here's yet another addition for Scrambler type motorcycles. 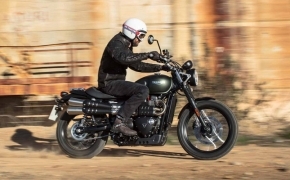 Triumph launched their all new Street Scrambler which is heavily based on the underpinnings of their highly successful Bonneville range. 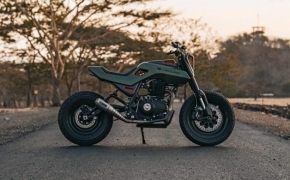 The motorcycle is retro designed and has all those unique characteristics of a Scrambler. Here's a detailed overview of the all new motorcycle. 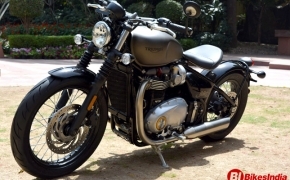 Iconic British motorcycle manufacturer Triumph launched the Bonneville Bobber, adding one more bike to its stable. With the launch of the Bobber, Bonneville series now has 4 different models to choose ranging from the 865cc Standard to 1200cc Bobber. We discuss about the overview explaining the technical specifications and design aspects of the motorcycle below. When women got hold of two wheels they achieved something great- Freedom. The Freedom to go where they want to, being independent and not relying on men of the house. To really achieve freedom, just a small step is enough to ignite a huge fire. And Bikes did that. Oil cooling is actually used on the bikes which are capable to get their engines cooled by air most of the times. But if the engine heats up beyond the capability of air to cool it, like in traffic situations, that is when Oil Cooling comes in its own to save the day.